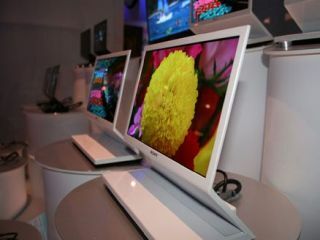 Japanese technology companies including Sony and Matsushita Displays are banding together to solve the pesky problem of OLED manufacture. B) Help to establish Japan as the centre of development for OLEDs, something it is competing with countries in South Korea to do, including Samsung SDI and LG Electronics. The government is giving 3.5 billion yen (£16 million) to the deal to help things along, which is very nice of it. Although having a display manufacture hub within its shores will obviously be a very helpful thing economy-wise. Sharp has also thrown its OLED hat into the ring, which is interesting as the company has previously stated it does not believe OLEDs are going to trouble LCD any time soon. Seems it might have changed its mind and doesn't want to miss the boat.